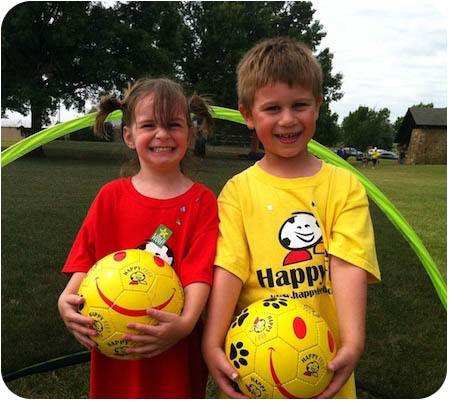 HappyFeet is an exciting mobile soccer clinic for children aged 2-6. Our best in class, creative, non-competitive “Story Time with a Soccer Ball” approach is used at daycares, preschools and recreation centers through out the Triangle area. 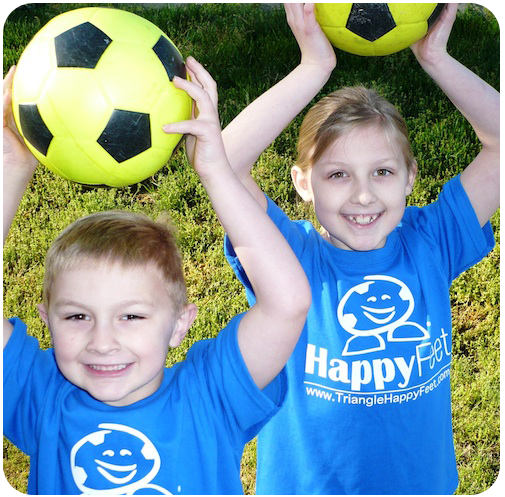 We're committed to helping children form HEALTHY EXERCISE HABITS using the world's most popular game, soccer! We use familiar songs, stories, nursery rhymes and fun games to introduce soccer to children as young as two years old. Our unique expert approved curriculum triggers your child's imagination by taking their soccer ball, Bob the Bobcat, on adventures to the zoo, the movies, and even an enchanted castle! Our philosophy and curriculum encourages children to tame their bobcat with their learned deceptive dribbling and ball striking skills. We leverage creative play and the important developmental skills it provides to make fitness and soccer their favorite weekly activity!